Miriam, the simulation lab nurse, has seen all sorts of healthcare teams rotate through the sim lab to practice patient cases. Often, the participants are all from a single discipline. Often, the patient cases are similar. This has always struck Miriam as strange, as from her experience working in the Emergency Department knows that real cases involve multidisciplinary teams and that there is so much in common between the various disciplines. Simulation technologies are used by most medical specialties and many other allied health teams. Why not have a research team that reflects cross-disciplinary training? This Feature Educational Innovation (FEI) was originally posted by the CAEP EWG FEI Team on March 20, 2015 and answers the question: “How can we better collaborate with other specialties who share educational technologies?” A PDF version is available here. A CAEP cast is available here. The Tuckamore Simulation Research Collaborative (TSRC) uses the same principles as spruce and balsam trees, to thrive together as a tuckamore in our harsh meteorological climate. Born in the discipline of Emergency Medicine (EM), the Collaborative was developed to support research activities united by the use of simulation as an educational tool within Memorial University, across many disciplines, faculties and geographical locations. This includes Faculty of Medicine, Schools of Human Kinetics and Recreation, Nursing and Pharmacy, Centre for Cold Ocean Research in Engineering (C-CORE) and the Marine Institute. We value community, collegiality, mutual support and respect, and sharing goals for success. By providing individuals or programs interested in simulation research a community with common interests, and nurturing naturally occurring synergies, we hope to achieve growth and excellence in research and practice. Celebrating the unique perspective of PhD/MD collaboration in health professions education scholarship, we work in “Pasteur’s Quadrant”, where research and its practical application intersect, with the expectation that the knowledge thus acquired will eventually help society. As it relates to Memorial’s division of EM, the TSRC provides a strong collaborative support system for innovation. Our EM ultrasound researchers are currently studying best practices for introducing ultrasound in undergraduate, post-graduate and CME settings. Our biomedical engineers are researching distance technologies for ultrasound image production and interpretation, with practical application in our distributed learning environment, including Labrador, Nunavut, Haiti and the Newfoundland offshore. Our pediatric colleagues are examining the utility of video simulation debriefing. Communication strategies between rural and urban physicians are under analysis, as is cognitive load, for which EM is arguably the poster-child. The work of TSRC occurs in our new Human Experiential Learning, Performance and Safety (HELPS) lab, where students from many disciplines work side-by-side in a space uniquely designed to facilitate interdisciplinary collaboration. This environment stimulates and facilitates the flow of ideas among kinesiologists, human factor engineers, nurses and physicians. The TSRC has adopted a meta-leadership style. This is an overarching framework for strategically linking the efforts of different units to “provide guidance, direction, and momentum across organizational lines that develop into a shared course of action and commonality of purpose among people that are doing what may appear to be very different work.” (Marcus et al., 2006). One year in, our success stories include seven ongoing projects, six peer-reviewed publications, many presentations at local, national and international conferences, and several research awards. One of the key activities designed to build capacity amongst our partners is research skills workshops. In our inaugural year we held bi-monthly workshops, followed by continued mentorship over a year-long project for each participant. February 2015 marks the end of the first iteration of these workshops. In addition to the typical teaching evaluations we have conducted a Strengths, Weaknesses, Opportunities and Threats (SWOT) analysis with workshop participants (see Table 1). Table 1: Strengths, Weaknesses, Opportunities and Threats (SWOT) analysis of Tuckamore Simulation Research Collaborative Workshops. In response to the SWOT, we will offer a three day “bootcamp” instead of a distributed format. This will be followed by milestone-based curriculum, which will be supported by a number of existing and new faculty, some of whom will be drawn from the current workshop participants. An initial face-to-face immersion will be the foundation supporting our work, which will be completed using distance technologies. This fellowship will soon be offered to physicians and partners, as well as to residents and trainees in a condensed version. Details can be found at this link. We hope that this modified format will let us build internal capacity, and in turn will facilitate growth in all other dimensions of the Tuckamore Collaborative. Other than simulation, can you think of other shared educational technologies that would be well served by collaborating across specialties? Could point-of-care ultrasound benefit? Adam Dubrowski is Associate Professor in Emergency Medicine at Memorial University. His primary areas of expertise are simulation and virtual learning environments. Daniel Ting is a PGY-5 Emergency Medicine resident physician at the University of British Columbia (Interior Site). He was the 2017-18 CanadiEM Digital Scholars Fellow and the inaugural Editorial Intern at the Canadian Journal of Emergency Medicine. 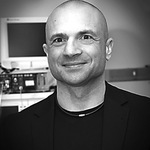 Daniel leads the “Great Evidence in Medical Education Summary” and "Feature Educational Innovation" series on CanadiEM. Michael Parsons is the Assistant Program Director at Memorial University for the CCFP(EM) Program. His research interests include PoCUS, simulation and procedural skills training. Peter Rogers is the Program Director for the CCFP(EM) Program at Memorial University. Medical education, simulation and ultrasound are among his specialties. Sabrina Alani is a research assistant at Memorial University in both Emergency Medicine and Oncology.